Ken Feser started his presentation with a quick story about his connection to Rotary. In 1982 he was selected to be part of a Rotary Exchange to Brazil. He found the experience to be very impactful to his life's direction and he raised the question " How do you measure impact"
Brenda Lea is a Director of the Medicine Hat & District Food Bank in charge of Fundraising. She shared with us her vision for their up coming event called "And All that Jazz"
Celina Symmonds the Executive Director told us what this event is raising money for. She told us Food Banks don't work for solving the problem but were created to support emergency food hampers. The Food Bank has a bigger vision. A Community Food and Wellness Center can support the whole community and the whole person. Learn to cook classes, doctors, dentists, Food hampers and more....help them reach their goal. 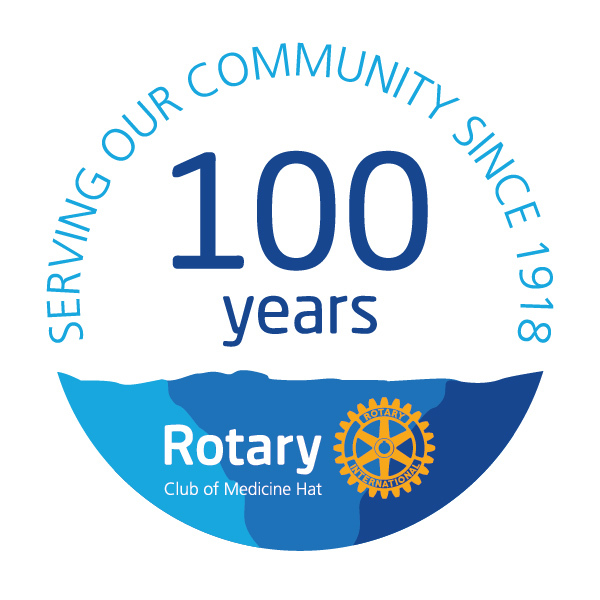 President Chris will provide a full presentation at the next Rotary meeting explaining all the details regard the change in the Trail project. He will also be sharing some back ground information to your email boxes soon..